In this article we will be discussing on how you can send emails using your ASP.NET applications. The new user registration Web application needs to automatically send an e-mail message confirming new user registration for an online shopping site. Since the application requires same subject and same body matter for the mail, we have then as strings already written in the code. Although if your application requires you to have text boxes where in you can write the subject and the body, you can very well do that. 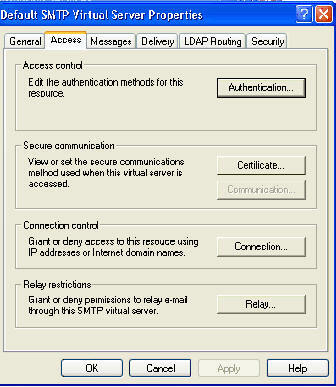 In ASP.NET application, you can send electronic mails by using either the SmtpMail class or the MailMessage class found in the System.Web.Mail namespace. The SmtpMail class can be used to send simple emails that do not contain any special fields, such as cc field and the bcc field where as the MailMessage class can be used to send emails that contain special fields, such as cc field or the bcc field. 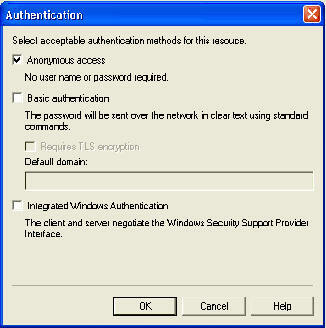 Before you try this, you must check that the Microsoft SMTP Service is available. To check this, go to Run->type inetmgr. 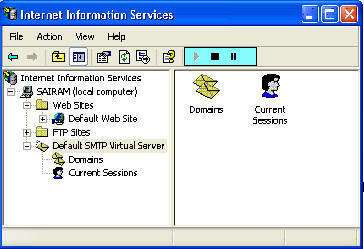 Select the "Default SMTP Virtual Server", and see the play button (shown in the shaded blue portion) is disabled. If it is not you should click the play button. I am attaching the code for the same problem, you can download it. 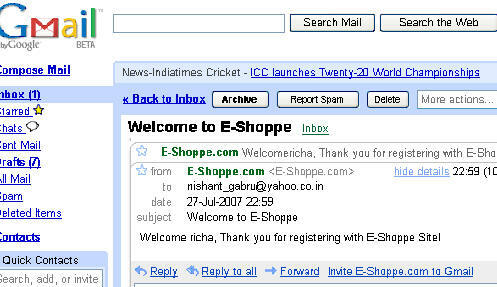 Notice the code in the click event of the button i.e. where the main functionality is being performed. Download example project. 2. Go to its properites window and change its ID to "myfile"
4. Now add the following code before you call the Send method of SmtpMail. This is only basic functionality, but you'll be fine if you don't have strong demands. Otherwise, you should get Auto Email which have a lot of features well tested on many other sites worldwide.